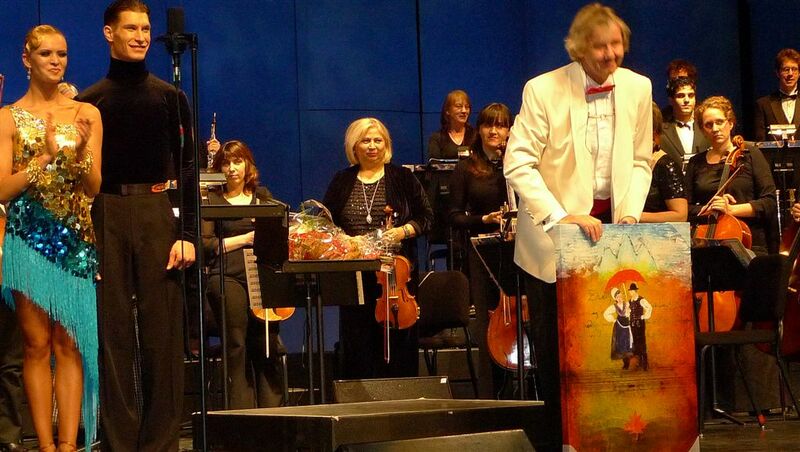 Happy 20th anniversary. 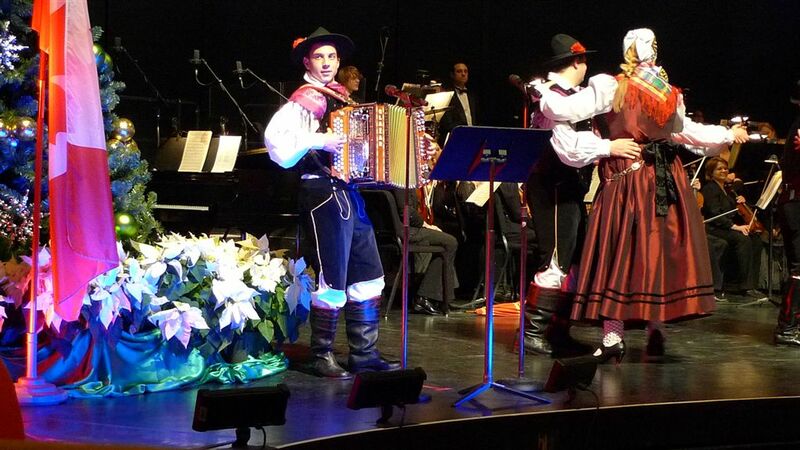 Conductor Andrzej Rozbicki and The Celebrity Symphony Orchestra share the stage with the Mladi Glas & Planika Dancers during the Slovenian Starlights Christmas Concert at the Living Arts Centre. 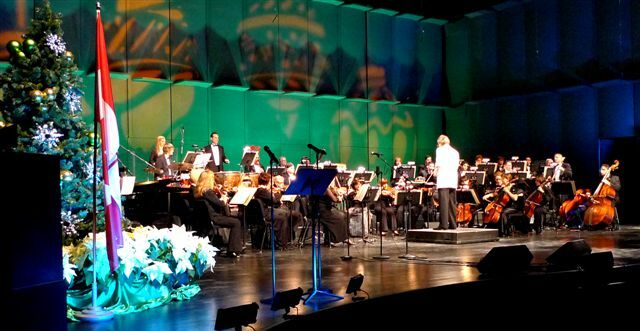 The concert celebrated 20 years of Slovenian independence. 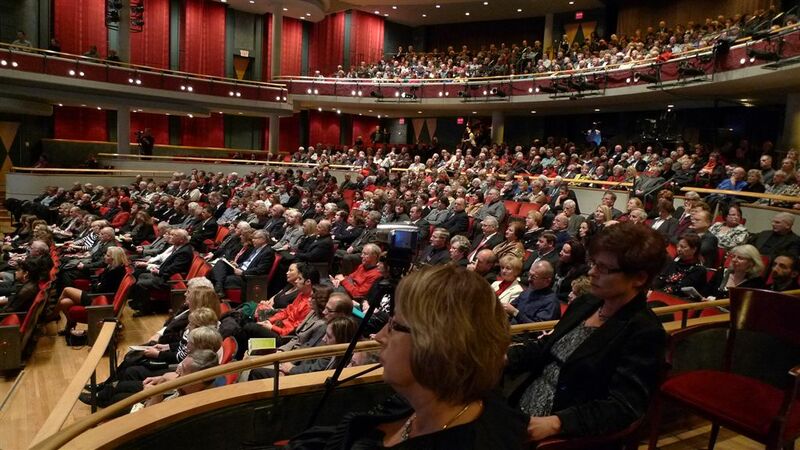 Photo by Peter C. McCusker The stage in Hammerson Hall at the Living Arts Centre was transformed into a little piece of Slovenia yesterday for a 20th anniversary celebration of the eastern European nation’s independence. 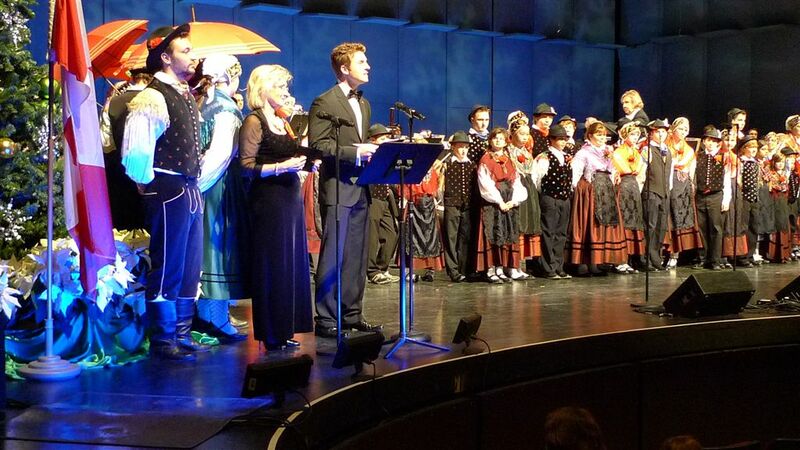 During the Slovenian Starlights Christmas Concert, a series of acclaimed performers paid tribute to the struggles of their native land and its realization of independence two decades ago. 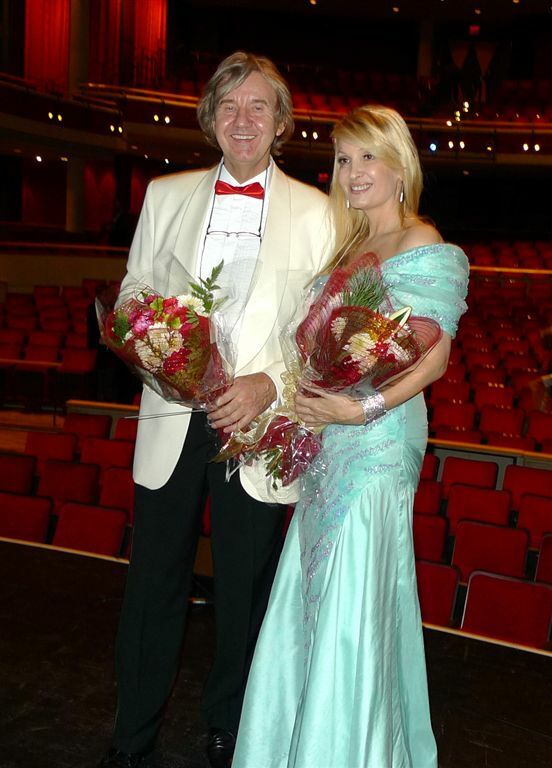 The Celebrity Symphony Orchestra, led by Maestro Dr. Andrzej Rozbicki, provided a stirring backdrop to a variety of performers including singers Helena Blagne and tenor Ziga Kasagic of the Slovenia National Opera. 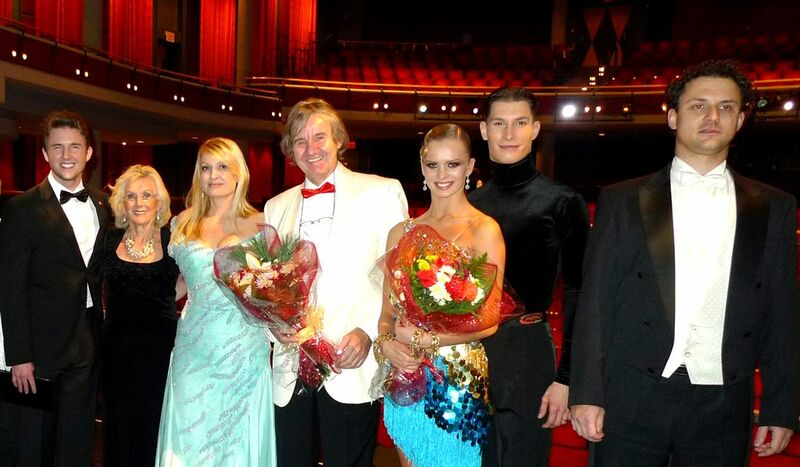 Dance champions Miha Vodicar and Nadiya Bychkova showed off their classic ballroom style while the vocal group Plaman and the Mladi Glas & Panika dance groups entertained the large crowd. 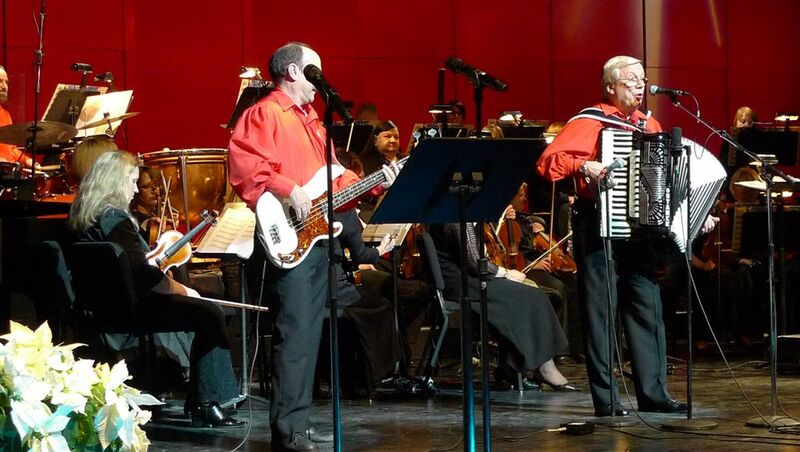 Three time Grammy Award-winning accordionist Walter Ostanek, nicknamed The Polka King, also delighted the crowd with his popular style.